It is very important that moms maintain regular meals when breastfeeding to gain essential nutrients and also to increase breast milk levels, and while not all babies react to the same foods, here are 10 foods to avoid while breastfeeding your baby. Always watch your baby for reactions whenever you eat something that could be questionable, and check with your pediatrician if you have any concerns. We know you need your coffee now that you’re not getting any sleep, so, we’re sorry. While some caffeine may be OK, it’s important to know that caffeine does work its way into your breast milk. Babies’ bodies aren’t prepared to process caffeine as quickly as an adult’s body, so if you’re hoping that your baby will nap soon, wait to have your coffee until after baby is asleep. You don’t need to avoid fish entirely, but you do need to be selective about what types of seafood you’re eating. Some fish can be high in mercury, which can find its way into your milk supply. Follow the same rules for eating fish as you did when you were pregnant and everything should be OK. 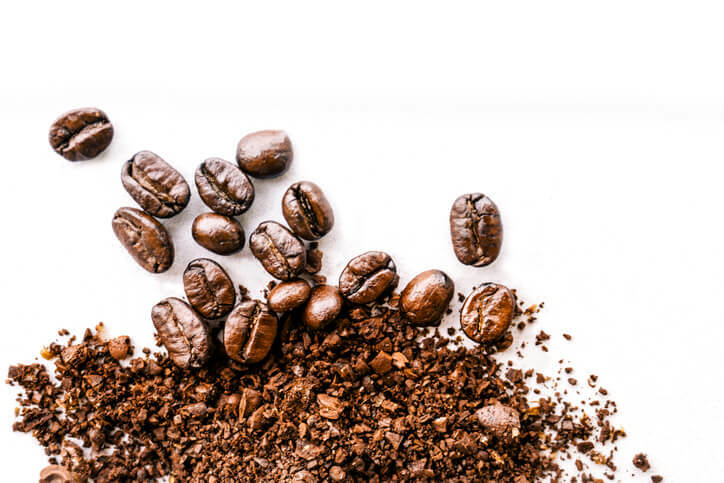 While you don’t have to eliminate chocolate entirely, it is a source of caffeine. Some nursing mothers also find that eating chocolate has a laxative effect—on baby. Watch your baby’s behavior, and diapers—if she becomes fussy or has a runny poop after you eat chocolate, that means it’s time to cut back or eliminate it altogether. Sorry! Parsley is a nice garnish and peppermint makes a fabulous tea; the problem with these herbs is they both come with the risk of reducing your supply. If used in small quantities they shouldn’t cause an issue, but be aware of any dips following eating either—especially if you’re coming up on a growth spurt where baby is going to be hungrier than usual. Dairy is one of the most common problem foods for breastfed babies. If your baby is especially fussy after nursing, has eczema or other skin issues, or has sleep issues, an elimination diet is a good place to start. While avoiding all dairy can be difficult, to rule out a dairy allergy you need to be dairy-free for a few weeks. If you see an improvement after the trial period, a dairy allergy is the culprit to your baby’s woes. This one should be a no-brainer, but we wanted to mention it anyway. Alcohol does get into your breast milk and can negatively affect your child. While it’s best to avoid drinking, if you choose to have a drink or two, it will take 1-2 hours for the alcohol to metabolize. Alcohol does not stay in your breast milk any longer than it does in your bloodstream, so as soon as you feel completely sober you’re fine to resume nursing. Although it is frequently recommended to moms who have had a few drinks, it is not necessary to “pump and dump” after drinking. If you feel OK, then it’s OK to nurse. Your baby’s GI tract is still immature, and some of the compounds in citrus fruits can be especially irritating. Citrus can cause spitting up, fussiness, or even diaper rash. If you’re craving some vitamin C, try having some pineapple or mango instead. If there is a history of peanut allergy in your family, make sure to avoid eating peanuts until after your baby is weaned. The allergenic compounds in peanuts and tree nuts can be transmitted through breast milk. If you’re not sure if your baby might have a peanut allergy, watch for wheezing, rash, or hives in your baby; these can be signs of an allergic reaction. You already know to avoid garlic if you’re expecting to be kissed, but did you know that garlic smell can get into your milk, too? If you find that your baby is occasionally reluctant to nurse, or pulls off while nursing to make faces, see if it coincides with when you last ate something laced with garlic. While most of us think that garlic makes everything better, babies’ palates haven’t matured enough to appreciate it yet. Gluten intolerance might take the blame if your baby develops bloody stools. Fussiness and a painful tummy can also point to issues with wheat. Like dairy, the best way to determine if wheat is an issue is to follow an elimination diet. Some moms choose to eliminate all common problem-causing foods and slowly reintroduce them one at a time. The slow reintroduction helps to pinpoint the allergy or intolerance and opens the door to keep other foods back in rotation.